VR littered the presentations and show floor at E3 this year. I have to admit, I had mixed feelings about it. To be honest, I have been thinking that VR is just a fad that will pass when Augmented Reality (AR) is perfected and hits mainstream. Although I have a VR headset myself, I got the less expensive Samsung Gear VR just to play with. However, after seeing some of the games that came out of E3 I am not so sure that it is just a fad. Games like Farpoint gave users like me the experience that we have been looking for – actually being able to feel like you are in another reality, not just viewing one. 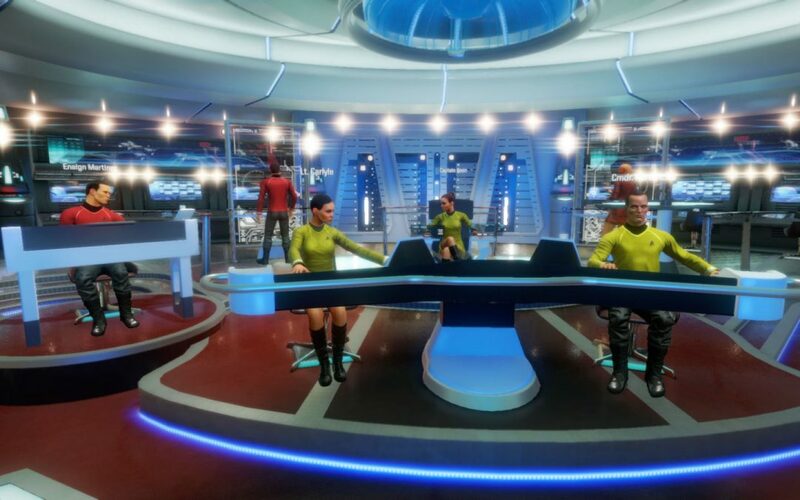 During their press briefing, Ubisoft introduced us to one of their VR games, ‘Star Trek: Bridge Crew’ and it may just be the future of VR. Now right upfront, let’s be clear about something: ‘Bridge Crew’ isn’t going to win any graphics awards. It is not as pretty to look at as some of the other VR games and is miles behind what we are seeing on consoles. To be honest, it looks more like a mobile VR game than anything at this point. That isn’t what makes it special though. One of the thorns in my side when it comes to modern gaming is the loss of couch co-op in most games. VR gaming is only going to isolate us more by taking us completely out of the reality where are friends are. ‘Bridge Crew’ changes that by bringing the concept of couch co-op to VR. 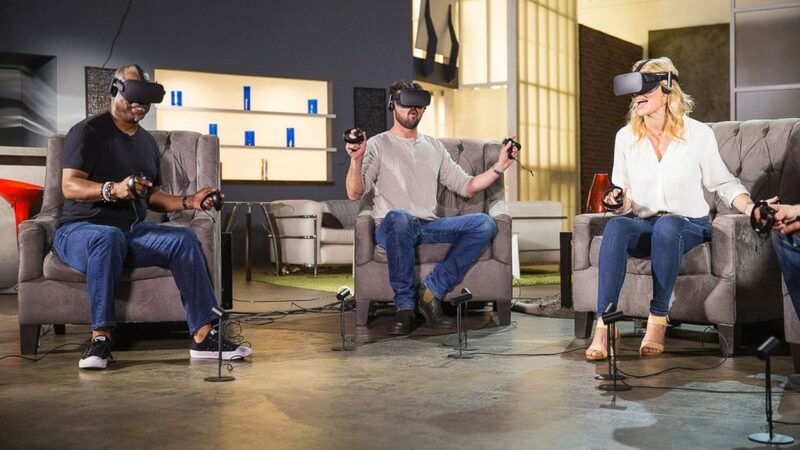 You and each of your friends don a VR headset and in the game you function as one of the members of the bridge crew (big surprise) on a Star Fleet ship. You and your friends each are a ranking member and in charge of a specific station. One could be the Helmsman and actually flies the ship, another is the Security Officer and controls/monitors the weapons and shields, etc. One of you will even be the Captain giving orders and commands for your crew to follow. During combat and peaceful missions, the Captain has more information than the rest of the crew so they alone see the whole situation and need to command their crew to get out of trouble. ‘Bridge Crew’ may not be the first to introduce multiplayer in a VR game, but it certainly brings back the couch co-op feeling that us 90’s kids had growing up. The game will take place in JJ Abrams Star Trek universe and launches this fall for the Playstation VR, HTC Vive, and Occulus Rift.